Ashton Lane - a hidden gem in Glasgow! Boy am I glad I made it over to this little spot in Glasgow! It's awesome. 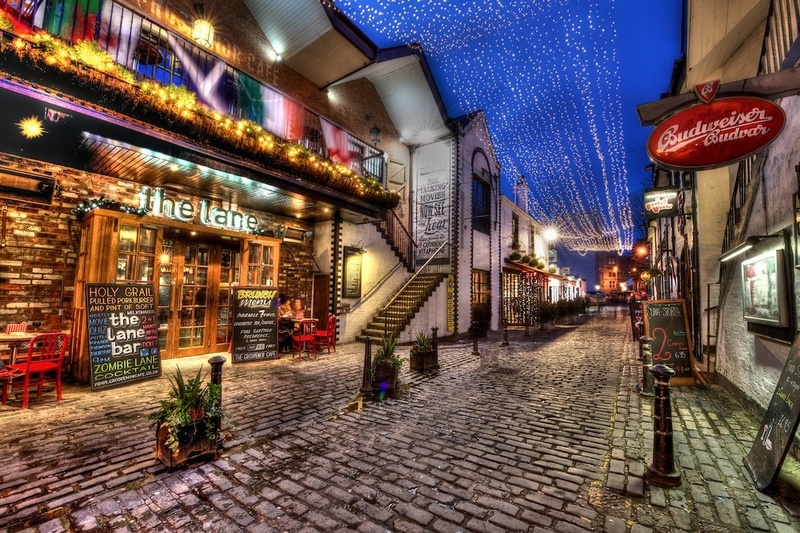 Ashton Lane is a little cobbled backstreet in the West End of Glasgow, Scotland. It's out by the University and just a short walk from the campus. I have been over to that side of town a few times now, but only as far as the University (which is pretty awesome). But while in Glasgow last week, I had dinner with a work friend of mine, and at some point he mentioned it to me. It sounded pretty awesome, so I went. It's a very short street though - very short, like maybe 100 yards - and has just a few bars, restaurants, and a cinema. There's just not a lot there. But, the beauty of the place is just undeniable. I love cobbled streets, and with the little twinkling lights overhead during blue hour...well, it's too much to resist!